We are committed to creating value that increases the competitiveness of our customers through an integrated digital marketing solution and superior quality and services. As part of our ongoing efforts to provide the best possible service to our customers, we conduct regular, on-going customer satisfaction surveys known as Net Promoter Score (NPS). I just had a call with Mary. She assisted me in importing some contacts and making some adjustments to my newsletter. She is exceptional! She is patient, has a wonderful demeanor, and is extremely knowledgeable. Great experience! The NPS system goes beyond testing how satisfied a customer is with a company; it’s designed to test if someone likes our brand enough that they would recommend our services to others. In other words, the person isn’t merely “satisfied” with our company—by telling others about our brand, the person is effectively marketing our company’s services. Customers are asked to rate their likelihood of recommending HomeActions to a friend or colleague by using a 0-10 point scale. The number on the scale that a customer chooses is then classified into one of the categories: “Detractors,” “Passives,” and “Promoters.” Comments are also sought to identify specific issues that a customer likes or dislikes about our service. We then take immediate action to eliminate any problem areas. For those clients who fall within the “red zone” on our survey results, we proactively contact them to find out what we can do better. We are regularly seeking to improve our Net Promoter Score with all our clients. 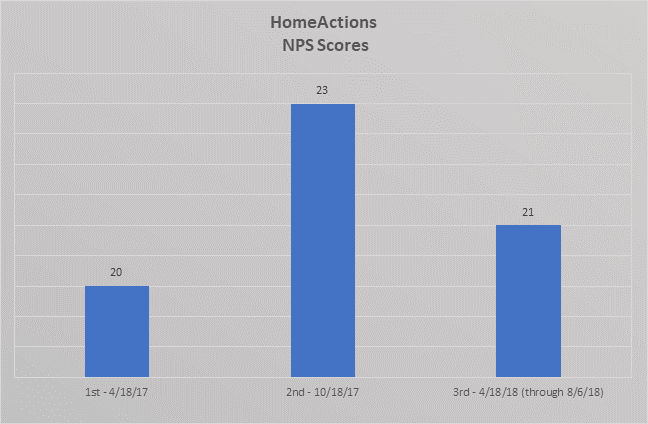 Using the Net Promoter Score, HomeActions is held accountable for the level of service and the overall experience being delivered. By asking just one question, we open the doors up and get unbiased customer feedback that lets us know what our customers really think. As CEO of HomeActions LLC, I firmly believe that long-term customer satisfaction is the cornerstone of business success. We are committed to creating value that increases the competitiveness of our customers through an integrated digital marketing solution and superior quality and services. Survey responses from our clients at Berkshire Hathaway Homeservices. Survey responses from our clients at Century 21. Survey responses from our clients at Coldwell Banker. Survey responses from our clients at Keller Williams. Survey responses from our clients at Long & Foster. Survey responses from our clients at Re/Max. Survey responses from our clients at Weichert Realtors®. “You reach out to all of our customers and we could never do that on a regular basis. 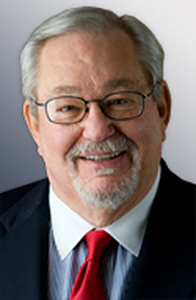 I have been in real estate for 32 years and I think this is the best thing at a good price to keep in touch with customers.” KinlinGrover Real Estate Assoc.